Google have taken searching to a next level and announced that they will be releasing an upgrade of their iPhone search application, which will feature voice recognition. So next time when you are out and about - don't just type in your search term, say it. Update 18 Nov: The new version of Google Search for iPhone is already available through Apple AppStore accessible via iTunes or straight from your iPhone. The new version of the Google Search application is expected to become available next Friday. When a user asks the application a question, the voice will be recorded and sent to the Google servers, analyzed and then sent along to the Google search engine. Both Yahoo and Microsoft have voice services for handhelds. The Microsoft Tellme service can get you directions, maps and movie times, while Yahoo's oneSearch with Voice has a wider scope. The Google system is not perfect, but it's targeted at outdoing everything what the competition offers. According to specialists, Google's advantage in this field is the ability to store and analyze vast amounts of data. This means that the service will be getting more accurate with time. Another advantage over competitors should be the database of billions of queries that Google users have made - those can be used to produce a statistical model of the way various words match to one another. The search application will also be using the accelerometer to activate its "Voice" mode - the user will only need to put the device next to an ear. We are really looking forward to testing the software ourselves next week. Here is an official how-it-works video of the application. just to correct your info above. 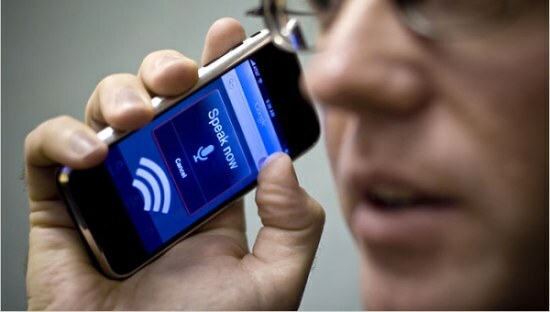 if the app works by holding it to your ear to speak it will be using the proximity sensor not the accelerometer.